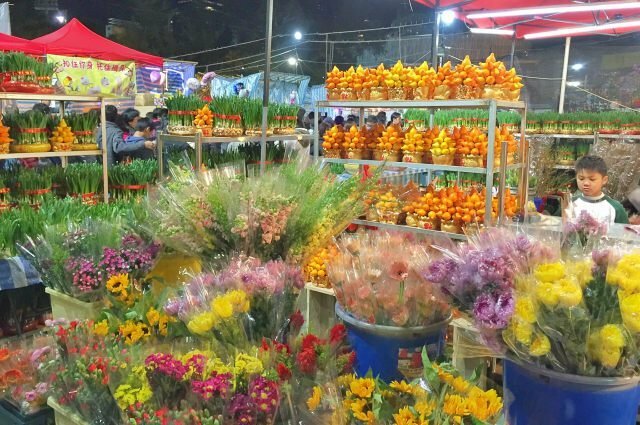 Welcome the Year of the Dog with a visit to a flower market! Be dazzled by the riotous colours and aromas of orchids and other beautiful blooms, plus endless creative products at the numerous stalls. A major tradition for Chinese New Year’s Day is giving fresh flowers, potted plants, and bouquets as gifts. So the flower markets set up for these several days beforehand, especially on the eve of Chinese New Year. One of the most popular Chinese New Year Flower Markets is held annually in Victoria Park in Causeway Bay before the New Year and running up until New Year's Day. People buy some "Lucky Plants" for good Fengshui. You will also find souvenirs, toys and decorations. Fa Hui Park is a popular Chinese New Year Market in Mongkok, Kowloon side.